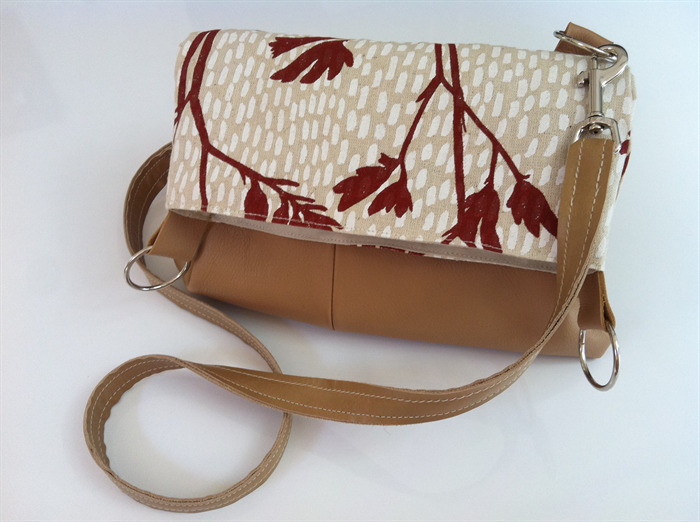 LIV XO handbags have been hand crafted from pre-loved leather jackets and pants featuring the beautiful screen printed fabrics by INK & SPINDLE. 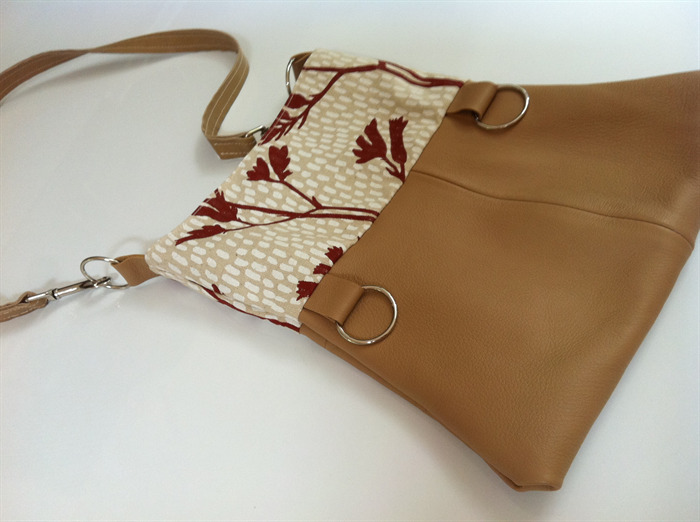 Every bag has its own original and unique shape and design with glimpses of the previous garment either in a pocket, strap or stitching. 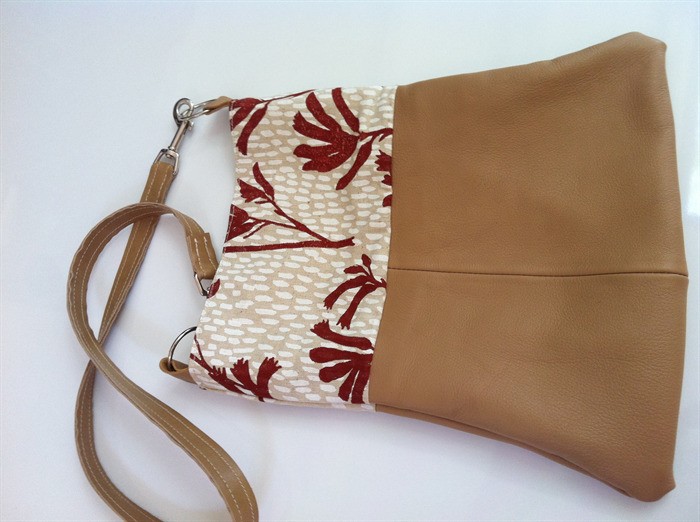 This handbag features a stunning fabric with a kangaroo paw design. The leather of the bag is tan. It is a high quality thick but very soft leather. 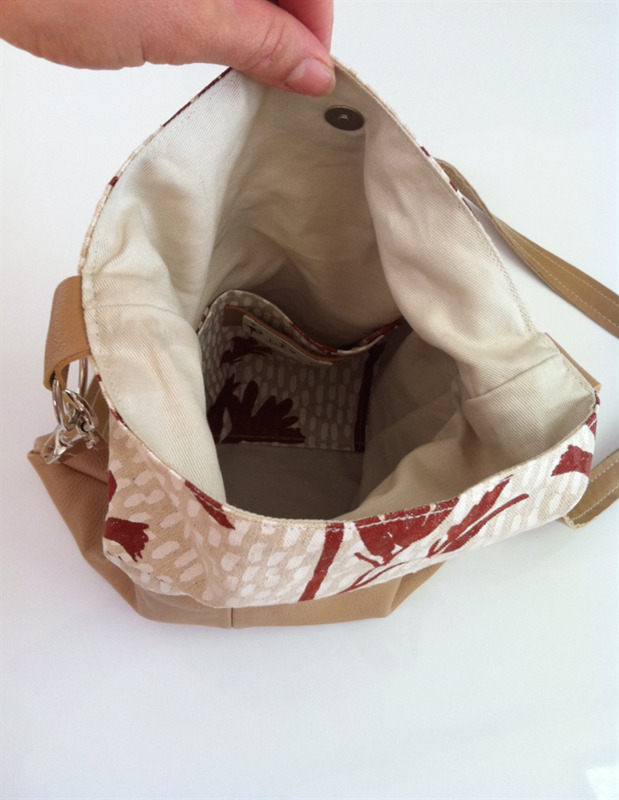 The bag has a pocket inside to fit a mobile phone. 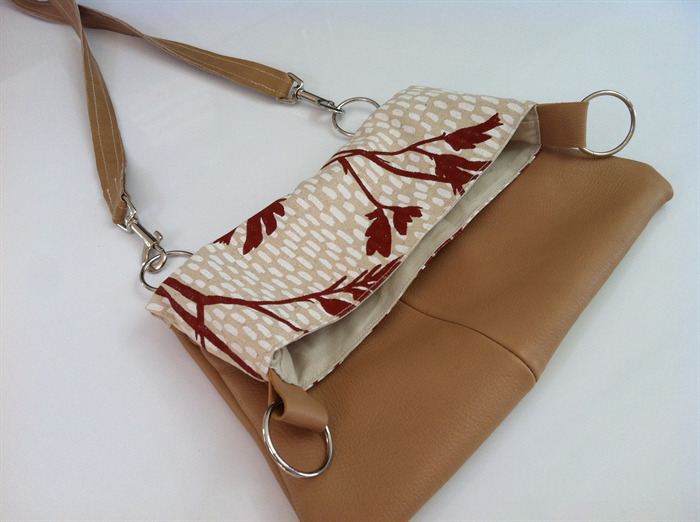 You can wear and use this bag three ways. 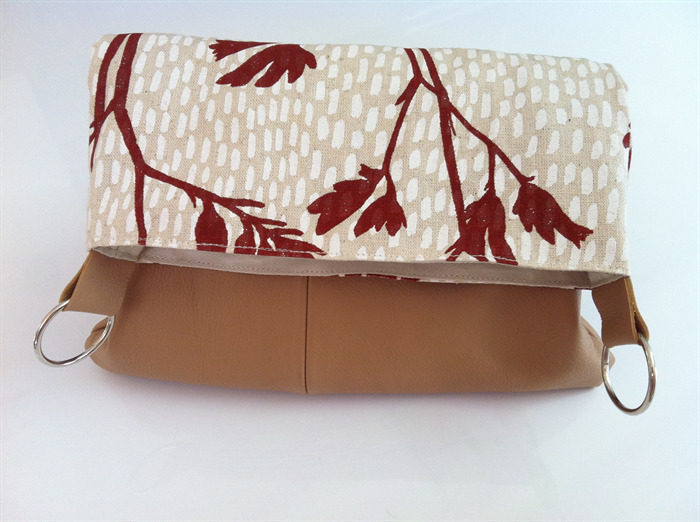 Folded over, open as a tote style or remove the straps all together to use as a clutch.